Andrew, from your previous website I learned you first of all are an accomplished visual artist…. Yes, in the early 1980’s I went to a top London art college. After graduating, I worked as a freelance illustrator creating book cover art for several years. It was a great discipline, getting commissions from various publishers and being involved in the world of professional illustration. I thus became more confident as an artist. Then I started painting my own fine art inspirations and more personal inner-visions, and in the late 1980’s began self publishing this art into postcards/greeting cards and posters. One thing led to another, and I slowly built a reputation around these paintings. So where and how do your paintings fit in with your imaginative music? In what way are they similar, different or do they complement each other? Well, I would say the paintings came from inspirations through exploring wild nature, the unconscious, anything mystical and magical. Also, personal visions were inspired through my then deep obsession with the so-called more ‘spiritual’ dimensions. The music does in many ways compliment the art. I spend a huge amount of time in nature, and always have done. Now I have the mountains and forests and wild empty beaches to explore in New Zealand, which is a largely uninhabited country especially in the south island where I now live. I get a lot of music ideas and inspiration from being in the wild, away from mobile phones, incessant traffic and the increasingly suffocating 21st century material madness and stress we are constantly being subjected to. The music is a direct result of my hermit-like existence…and my preference for living quietly and privately. There is a strong feeling of otherworldliness in the music, and indeed in many of the earlier paintings. I must be an incurable space cadet! Would you say there’s some kind of cross pollination where a painting evolves in parallel with a composition? Or maybe a track inspired by a painting, or vice versa, or basically, did a cd image happen before or after the music? There are no hard and fast rules about this. I don’t know about cross pollination, but there are many parallels where the painting reflects the music (and vice versa) in the ‘creative- process’ sense. Some paintings come out of nowhere…literally, out the blue. In the earlier ‘visionary’ art I would sometimes have very clear visions of the finished painting, although the outcome might result in something a little different. The music is the same. For example, the last track on the “Infinite Octaves”-album “Beyond the Beyond” came totally spontaneously…again, out of the blue, from nowhere. A real surprise. Conversely, I often hear whole pieces of music long before they get recorded…and the overall mood or flavour of that piece will somehow be retained until the music is finished. Before you moved to New-Zealand, you were a UK-resident. What made you migrate, how did you make and how do you currently make a living? There was a kind of window of opportunity in my life in the late 1990’s, where my UK commitments suddenly allowed for the possibility for a big life change. I was 40, and it was exactly the right time to explore New Zealand. I had wanted to come here several years earlier, but that proved not possible until 1998, and I had a strong intuition to come here and see if it could be a place for me to start a new life. It certainly was! I made a living then just as I do now…through my creative work…selling original paintings, greeting cards and posters. 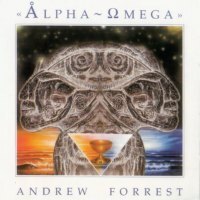 And I had the first two cds released already, “Starseed” and “Alpha Omega”, so was starting to build up the music reputation alongside the art reputation. Your music can be classified in various ways, such as new age, contemporary instrumental or even as easy-listening/chill-out. How would you describe it yourself? Definitely NOT new age! 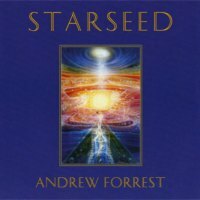 If you listen to typical new age music it is clearly nothing like mine, either compositionally or sonically, melodically or energetically. A lot of the more predictable, bland, cliched new age music has, for me at least, little variation or contrast, sometimes with very few musical ideas, and often has obvious, somewhat predictable major chord progressions. In my music I am very interested to devise alternating movements, crescendos followed by quiet passages, with here and there repeating melodic motifs, in some ways echoing classical music structures. I like to express both power and subtlety, intensity and spaciousness. It is interesting for me to create sonic contrasts of light and dark, and all shades in-between. 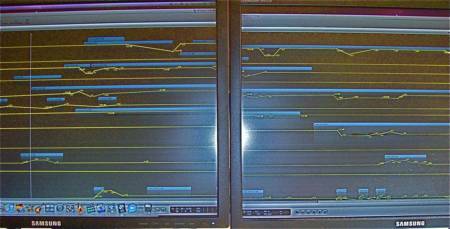 And to emphasise both melodic, structured passages (often in sequencer form or piano/string minor chord progressions) followed by more abstract, formless textural sections. 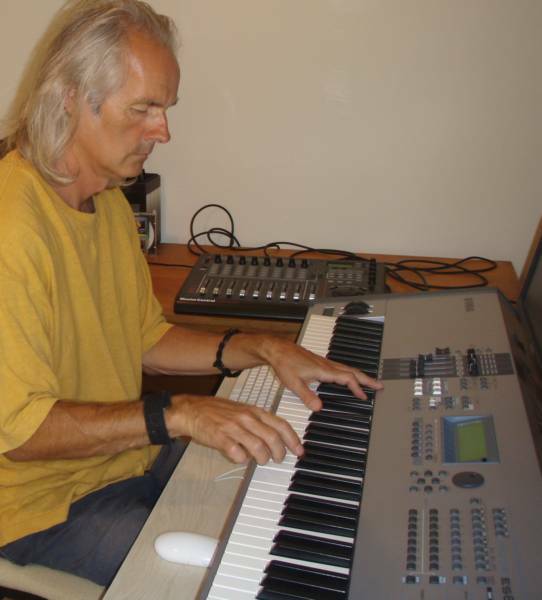 Also, my musical grounding was in playing the piano, for many years prior to the first recording in 1992, and much of the work comes from that space of sitting for hours improvising at the piano. I am happy with the term “contemporary instrumental”. Also, the terms Electronic Ambient, Deep Space music, and Cinematic Soundscapes seem to be appropriate. As you can tell, I am not happy with being labelled ‘new age’ so much! Do you listen to other (electronic) music, and if so, what music has influenced you? Absolutely! The list of influences is huge, and by no means just electronic. 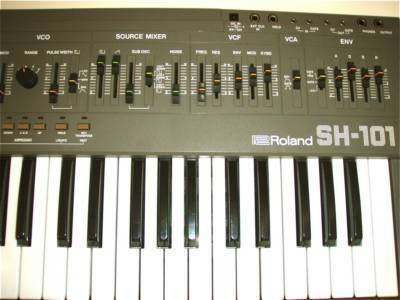 Some examples of electronic favourites are e.g. early 70’s Tangerine Dream, especially the unbeatable classics “Phaedra”, “Rubicon” and “Stratosfear”…timeless, genuinely inspirational stuff. “Rubicon” is one of my favourite albums of all time, especially the closing section to part 2. I guess “Richochet” should also be in that list too! Michael Stearns, most especially the absolutely brilliant “Planetary Unfolding”. I love his textures and structural approach to sound weaving. Also, “Encounter”, “Within the 9 Dimensions”, and the “Baraka” film soundtrack. 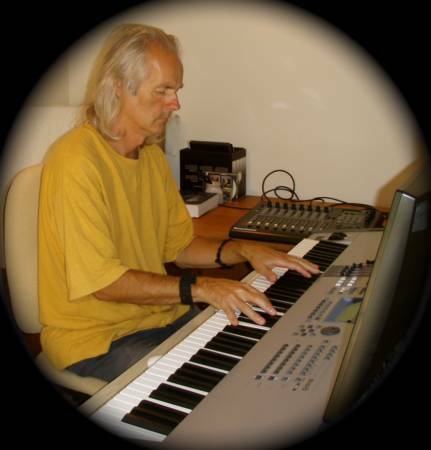 Tim Blake (Gong’s 70’s keyboard player).”Crystal Machine” and “New Jerusalem” cds. Brian Eno/Harold Budd, “Plateaux of Mirror” and “The Pearl”. Of the newer electronic music, I listen to is Kevin Kendle’s “Deep Skies” trilogy, Great spacey textures and subtleties. Also the more subtle parts of Ozric Tentacles, System Seven and Eat Static. I have always loved Pink Floyd, (anything up to the Wall that is), especially the late 60’s/ early 70’s deep space tracks like “Set the Controls for the heart of the sun”, “Cirrus Minor”, and most especially “Echoes” from “Meddle” etc. As I grew up in the early / mid 70’s with all the great progressive rock bands like Pink Floyd, Genesis, Yes, King Crimson, Camel, Gong, Mike Oldfield etc. I am probably very influenced by the more abstract, ambient-melodic segments in their music. Also the impressionistic classical composers I love…especially Vaughan Williams, Debussy and Delius. These represent just a tiny fraction of my favourites. The list is endless really. Can your give a description your studio, plus the instruments and other gear that you have at your proposal? My current studio is a large converted bedroom at the back of the house I rent. It’s not at all glamorous, but does the job of being a space I can retreat to and be creative in. “Infinite Octaves” was recorded here. Speakers: Dynaudio BM5 passive nearfield monitors. I sometimes get frustrated with technology…especially when I was first learning the Mac/Logic set-up. Working in a recording studio is a very exacting and precise science. I am a perfectionist by nature, which has its up and down side…sometimes I can get maybe too involved in trying to perfect a sound or effect, or with endless editing and mixing. It is important for me to keep the spontaneity and magic in the recordings as well. In every album there always seem to be some very happy accidents…seemingly unplanned, unpredictable moments that really make the difference! These magic “ghost in the machine” moments help to balance my innate perfectionism. I put a lot of time and effort into getting the best performance and feeling in each moment of the music. However, I absolutely love creating new sounds and sonic textures, and it’s the positive, flexible, creatively unlimited side of technology that allows this to happen so readily now. There are so many possibilities to access and sculpt new sounds, both with the huge array of software synths now available, and the more hands on, tactile approach of playing a physical synthesiser. 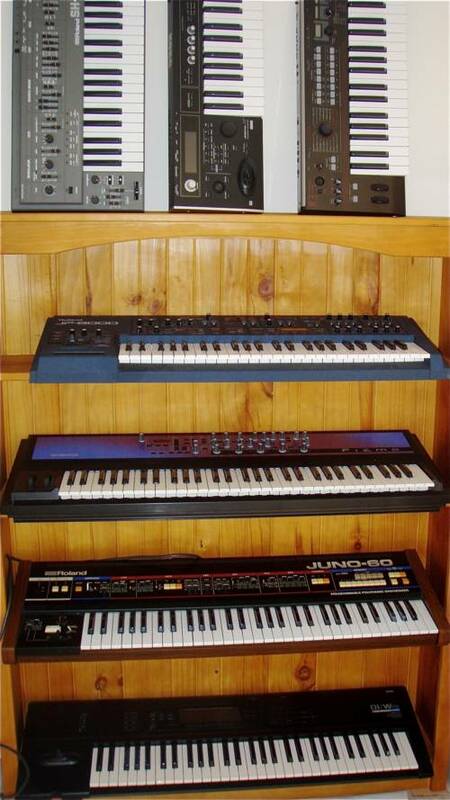 I especially love old analogue synths, and spend a lot of time getting weird and wonderful textures from them. 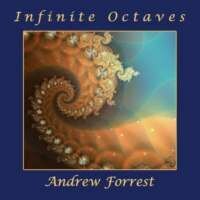 For example, I spent over two years preparing new sounds just for the “Infinite Octaves” album!! Sometimes I hear sounds in my head that are very otherworldly, beautiful, and impossibly subtle, and it can be very frustrating/impossible trying to find them or emulate them on a keyboard. I heard you keep contact with Rudy Adrian. How did you two meet, did you two ever consider composing together? It would be interesting to record together…at some time that might well happen. Have you ever performed your music live, or considered do so? Yes, but rather reluctantly, as my music is so multi-layered, and it becomes complicated to reproduce the sounds with only one pair of hands! I love performing solo improvised piano though, but rarely find the appropriate opportunities to do so. What effect has nowadays music business, overall distribution and the continuing peek of online downloads to you? Well there is no doubt that downloads, and just the enormous variety and amount of available music to buy has meant a significant reduction in sales. I never sold huge amounts to start with (! ), but I guess I will have to eventually look into selling downloads from my website. I am very reluctant to do this, as the music pieces I produce tend to be very long compositions…often 15 to 30 minute pieces…and taking this kind of music out of the album context feels inappropriate somehow. We’ll see. It is an ongoing struggle to make a living from producing this type of music, but the new website is helping to make my work more accessible to the public. However, in conclusion, nothing will ever stop me creating new music and art. Being creative is, for me, like breathing air…I cannot live without it! There is unlimited potential in the ‘blank- canvas’, both art-wise and music-wise. I am in love with that potential, and always will be until my last breath. 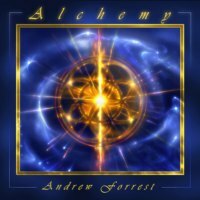 I have many music projects in the pipeline, and have already begun the initial preparations for the next cd, which will be released later this year. After that, I have the idea to produce a new trilogy, and track titles and the potential three album titles are slowly taking shape. So there is still so much to explore and create, and the journey goes ever on!